Preheat oven to 200°C. Preheat a barbecue grill or chargrill pan on high. Season chicken with salt and pepper and brush lightly with oil. Cook chicken on grill for 7 minutes each side or until just cooked through. Transfer to a plate, cover with foil and set aside to rest. Thickly slice. Place pancetta on an oiled baking pan for about 10 minutes or until crisp. Remove from oven and break into large pieces. 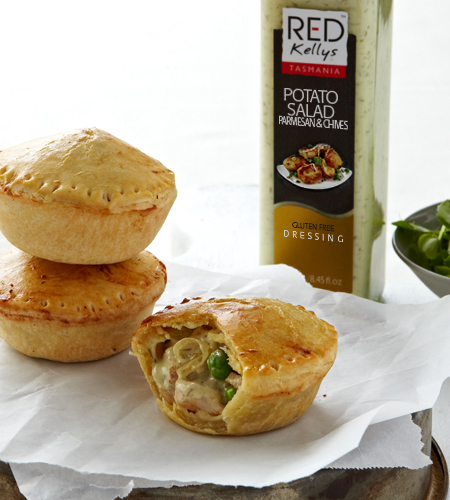 In a little bowl, combine lemon juice and Red Kellys Creamy Caesar Dressing. Season with salt and pepper. 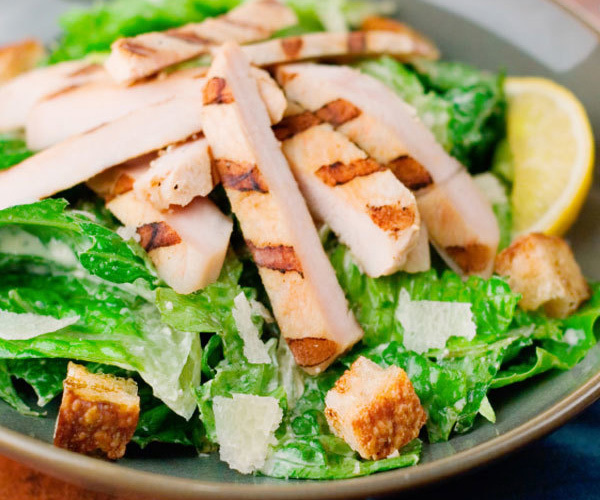 Combine spinach, sliced chicken, half the croutons, half the pancetta and 1/3 of the dressing and toss to combine. Arrange among serving plates. Top with remaining croutons and pancetta and drizzle with remaining dressing. © 2018 Red Kellys Tasmania. All rights reserved.